The Chinook salmon (Oncorhynchus tshawytscha), also known as king salmon was introduced in Chilean waters at the end of the 19th century. Thriving in Chile’s cold and temperate waters the kings has since found their ways into many rivers along Chile’s Pacific coast. 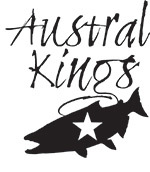 Exactly when they found their way into the Austral Kings river is still up for debate. Some locals claim they have been in the river for more than eighty years, others that they have been around for less than half of that time. Either way, they are here, they are chrome-bright and they are big! No one knows how big the annul run of kings is but a good guess is somewhere between 50.000 and 60.000 fish. Early in the season there are some jacks around in the river. These smaller kings that has returned to the river after just one or two years at sea are usually the size of your average Atlantic salmon, somewhere between 7 and 14 lbs. The mature kings are all in a complete different league. During our exploratory season (2016) the average weight of the mature kings was more than 30 lbs. The biggest fish landed was between 50 and 60 lbs and the biggest fish lost or spotted was easily more than 70 lbs! 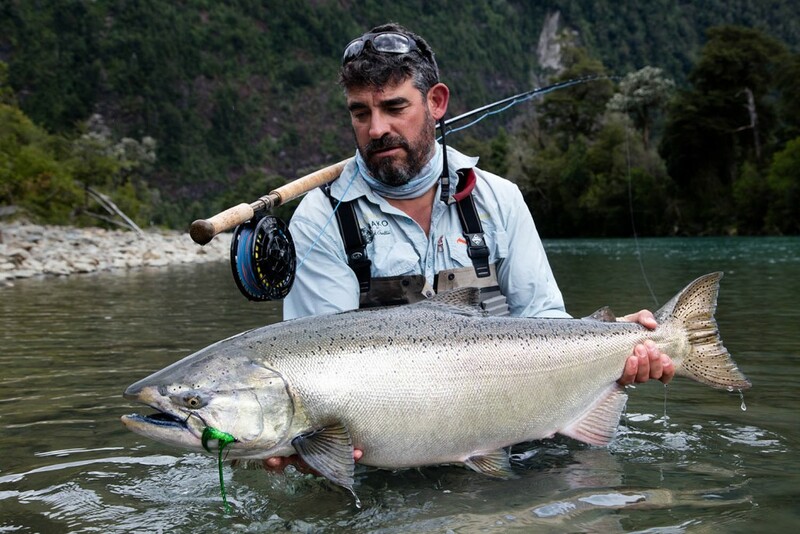 While the size of the fish at Austral Kings is certainly impressive it isn’t the best things about these salmon. That is the fact that we can fish these chrome-bright fish right off the tides! Our program has access to twenty miles of river, from where we start fishing – all the way down in tidal water and anywhere we fish upstream, you can hook a fresh salmon that has left the sea less than 24 hours earlier. 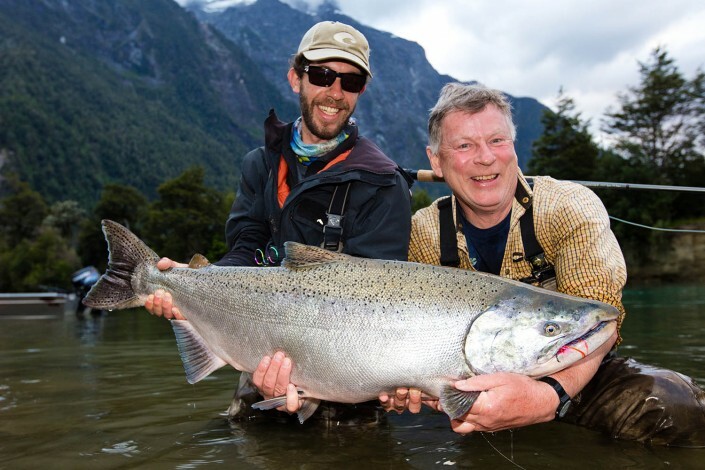 Austral Kings means chrome-bright king salmon in clear water. It is about as far as you can get from fishing colored fish a long way up from the sea. 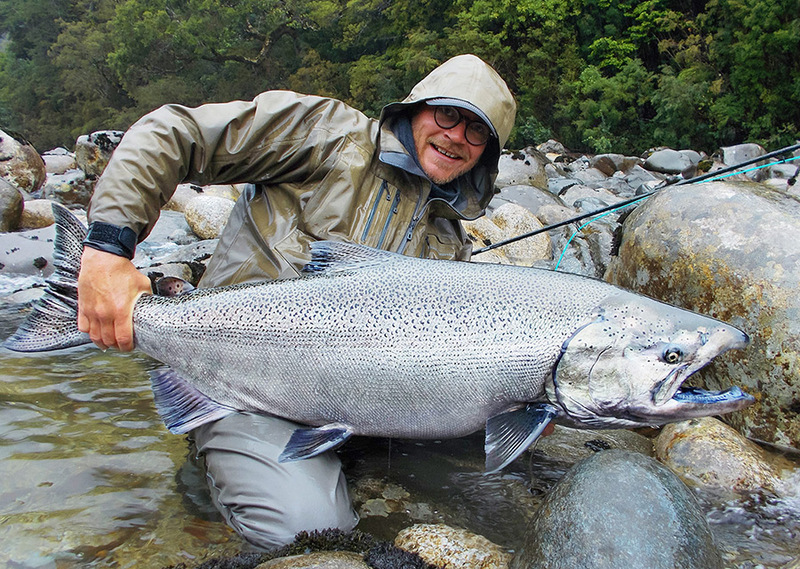 This is fly fishing for king salmon at it’s very best.